The Cavs strutting into the 2018 NBA Playoffs in custom handmade Thom Browne suits makes me feel like I'm watching Fifa. I haven't seen such a well dressed team since the Azzurri's Dolce & Gabbana suits landed in the blazing Brazil heat in 2014. Decadent suits veer far from traditional NBA pregame style. We get excited to see Westbrook is mismatched socks, Gucci print pants, or Harden's neon Balenciaga. NBA style is about funky, colorful, edgy, and athletic flare. My jaw nearly dropped when I saw the bespoke grey Thom Browne delicious suits on the Cavs. 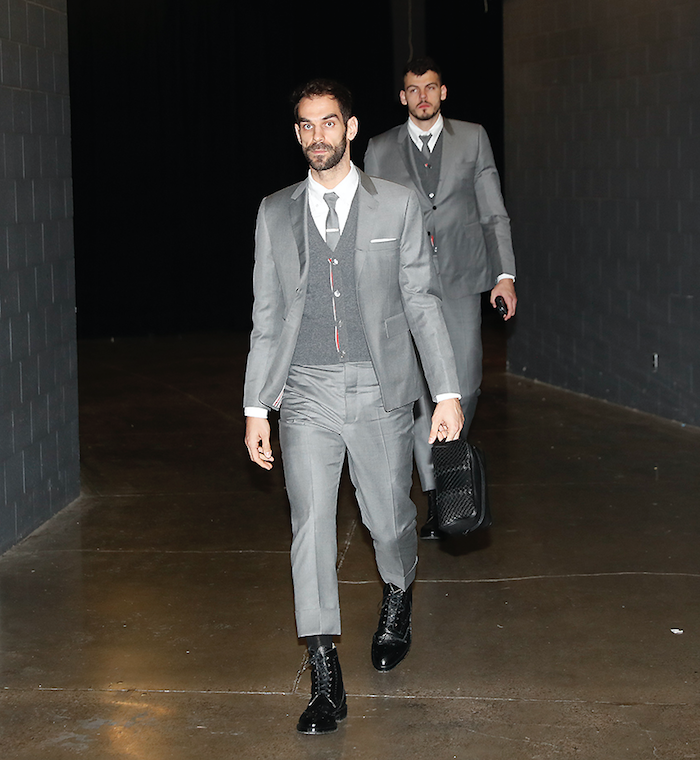 Props to Cleveland for brining NBA playoff style some sprezzatura. 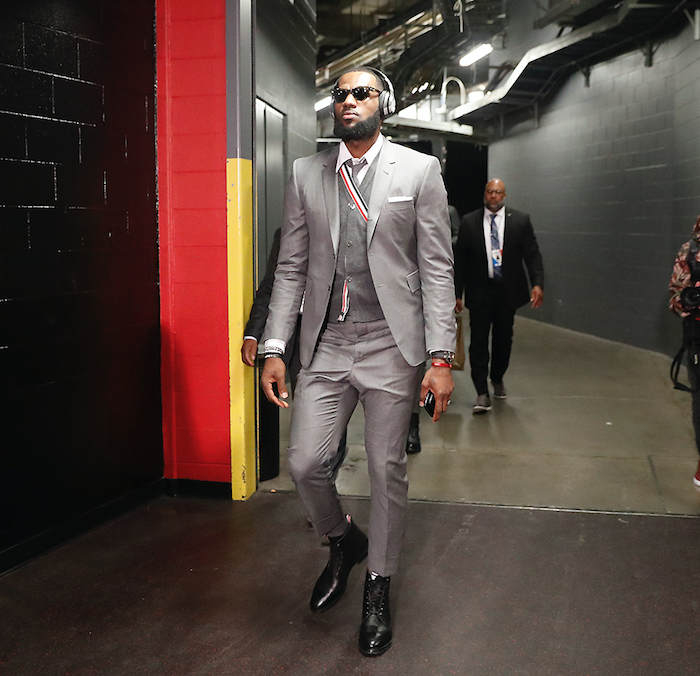 Showcasing fine tailoring for their pregame, King James and his team are redefining NBA Style.